So someone comes to your door asking you to give to United Way. 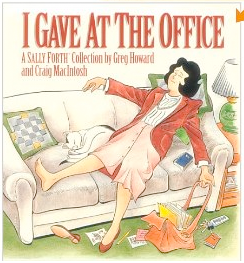 You say, "I gave at the office." If the volunteer is a trusting soul, they will think you gave to United Way at the office. But suppose you meant it a little differently. Suppose you make bread. Is that giving at the office? Yes, even if you only make bread to make money. You are performing a great service to humanity by providing people the opportunity for good food. Buddhists call this "right livelihood." See Jack Kornfield's description here. The discussion about whether companies should be charitable is rather superfluous if the company is producing a good or service that benefits others (or even themselves). What might benefit others is open for interpretation. Though Michelle Obama (and Kim too) might disagree, some might determine that donuts benefit beings (perhaps by alleviating suffering). In any case, most businesses earn money by making our lives better. They are "charitable." No, it doesn't "hurt" them when they give. But why is that necessary? I'm thrilled that Apple makes an Iphone. Did they do it because they love me, or because they feel sorry for me? Of course not. It was just "greed." And I love them for it. I am not actually concerned with how much or how little the donut shop guy gives to his church. It’s not my business and I don’t care. This to me is not ‘social responsibility’. I am more concerned as to how much or how little toxic pollutants he’s dumping down the drain at night to save money by not using more proper disposable systems. Social responsibility to me seems less about what you give and more about what you take. I like the point you make about not "taking" (Buddhist for "doing no harm"). But "either or" never really works, does it Kate?